For many families considering fostering to adopt, the cost of the adoption combined with the monthly cost to care for a child with special needs can be overwhelming. Thankfully, there are adoption subsidies to help. Under the Title IV-E Adoption Assistance program, parents who adopt a child with special needs from foster care are eligible for monthly financial assistance for that child. “Special needs” may include physical, mental, or emotional conditions prior to adoption, racial or ethnic heritage, sibling groups, or may even relate to the age of the child. State guidelines vary, so be sure to check with your agency to see if your child qualifies. If so, assistance may come from either the federal or state level. Assistance is designed to help defray the costs of medical coverage and other care for the child. Each family enters into negotiation for the child’s assistance, and this subsidy is then distributed monthly. But is this adoption subsidy taxable? 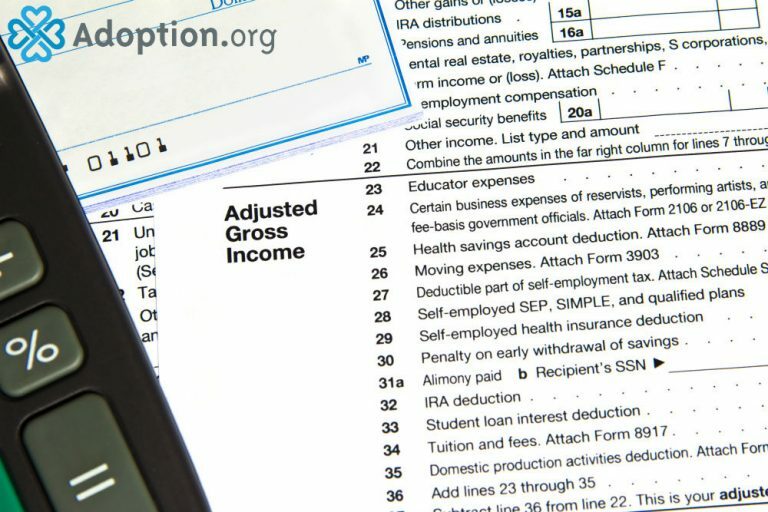 Since 1974, the IRS has ruled that adoption subsidies fall under the umbrella of governmental benefit payments from a public welfare based upon need. This means that the adoption assistance families receive is considered a form of welfare and thus should not be included when determining a family’s modified adjusted gross income (MAGI). The only time the monthly subsidy might be considered income would be if the family had no other source of income and used their monthly adoption subsidy on costs other than those directly related to the welfare and care of the child. But this is rare. For almost all families, adoption subsidies are considered non-taxable. It is worth noting, however, that some government programs do consider adoption subsidies part of your monthly income. Programs vary, and some may vary state to state, but both the Supplemental Nutrition Assistance Program (SNAP) and national school breakfast and lunch programs take the monthly subsidy families receive into account when evaluating a family’s gross income. And don’t forget, there is a federal adoption tax credit available to help with the costs of your adoption process. Additionally, many states offer reimbursement for nonrecurring expenses (such as attorney fees, agency fees, etc.) directly related to the finalization of your child’s adoption, so be sure to double check. For more information on state subsidy guidelines, visit the North American Counsel on Adoptable Children (NACAC).